Behold, the virgin shall become pregnant and give birth to a Son, and they shall call His name Emmanuel–which, when translated, means, God with us. Immanuel: God With Us. What a beautiful concept. It’s out-of-this-world: a Person that is with us, but is also God. Of course, this was fulfilled in Jesus. But Immanuel encompasses so much … SO MUCH. Imagine that: if God, the Maker of all that exists, was with you what would that really mean? Let’s take a little look. God With Us means that God would be among us. He would become a Man like us. He would eat our food, sleep in our human beds, walk our human roads, be involved in our human conversations, and be an all-round human. This is what God did when He became a man. Jesus grew up like a human would and fulfilled the Father’s plan. He was God among us, and He was human in every way. He felt like we feel and knows how we think. He’s been in our shoes, and He knows what we need at every situation. God With Us also means that God would be, well, with us. Accompanying us. Involved in all of our things. What does that really mean? In Isaiah 41:10 God says, “Don’t panic. I’m with you. There’s no need to fear for I’m your God. I’ll give you strength. I’ll help you. I’ll hold you steady, keep a firm grip on you.” God, with you, would give you strength, help you, and hold you steady. Finally, to those who are saved, we can look back through the lens of the Redemption Work of Jesus to see that Immanuel means God is alive in us. That’s as close as anyone can get. He is at work in us, through His Spirit, to make us will (or want to do) and to make us do what will give Him most pleasure (Philippians 2:13). He is transforming us, making us more like Him, through His Spirit in us. It’s a refreshing and amazing thing to have such a relationship with the One Who made us and knows us. The Faces of the Christmas Story Project has shown us a glimpse into the lives of a couple of personalities involved in and affected by the coming of God as a man. The Christmas Story. But beyond and through it all, they also show us what God-With-Us means, for it was Him working behind-the-scenes. The Prophets showed us that God is with us to fulfil His promises. The Angels showed us that God is with us to favour us. Zacharias showed us that God is with us in our doubts, and will not leave us even till we come to believe His Word. He is patient with us in our faith journeys. Elisabeth showed us that God is with us to do His miracles in our lives, even to the impossible. Nothing is impossible with Him. 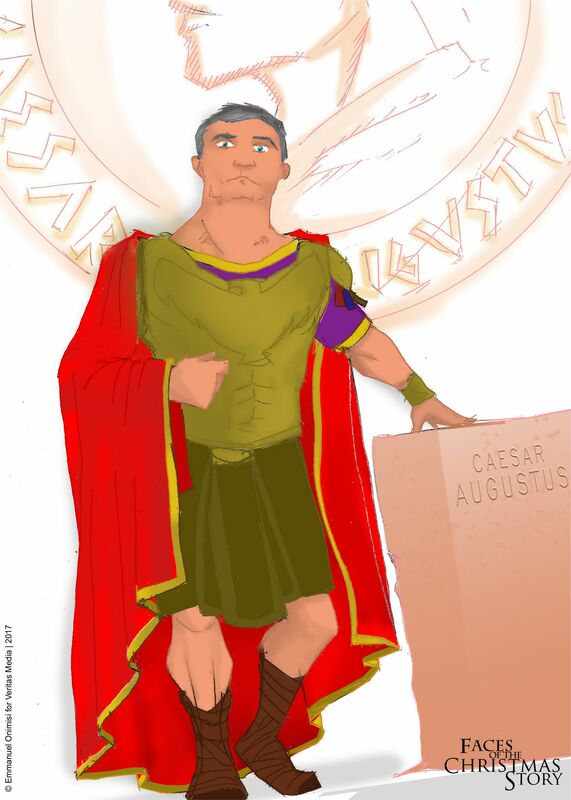 Caesar Augustus showed us that God is ruling in the affairs of men, even of those in authority, on our behalf. King Herod’s story showed us that God is with us to affirm us, and that we need not live with a sense of inferiority, seeking the approval of men. The Magi showed us that God is with us to make us so highly favoured that others will come to our rising, to receive of His Light shining in us. The Shepherds showed us that God came for everyone, even to the lowliest. The Innkeeper who had no room for Jesus to be born showed us that wherever Christ enters (even if it is a stable), He makes into something special. 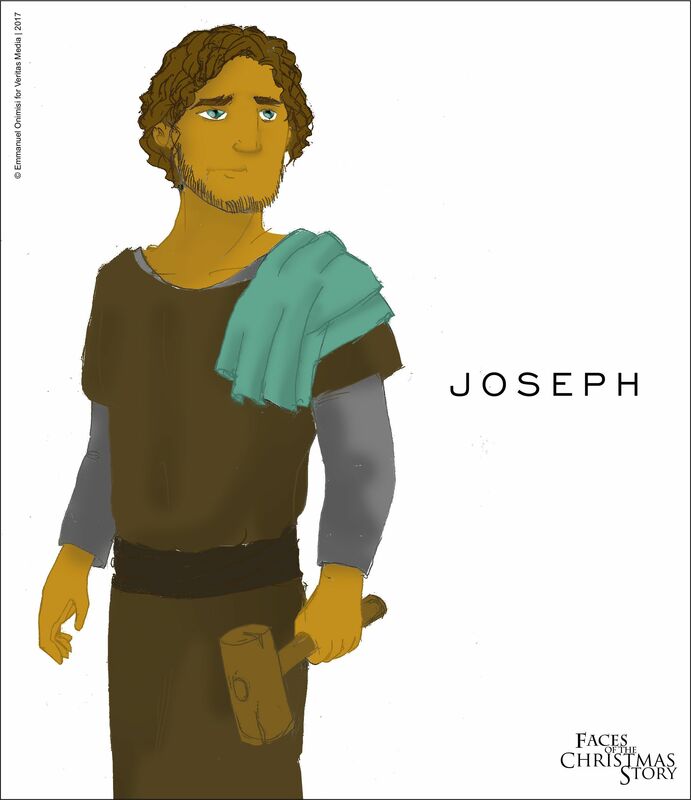 Joseph showed us the life of a faithful man. God is with us through His Spirit to make us faithful. Mary showed us that God is with us to make us partakers of His purposing, using us to bring it to pass on the earth. All of these and more are encapsulated in ‘Immanuel’. Over the past 11 days we have covered these 11 people. And now we are at the 12th person. The tagline of this Project is ’12 Lives Called to be a part of God’s Story.’ If you noticed, each of the previous articles had names of characters as their titles, but this one doesn’t. We’ve talked about the meaning of Immanuel, but do you get who the final person should be? Who else is called to be a part of God’s Story? The relevance of Immanuel to Christmas is that God has come for you. Not just the world, but you. The story is generally celebrated worldwide, but we must understand it at a personal level. Immanuel is God with you. Jesus came to die and rise, to make the way for you to come back to God. The way is still open. But at the personal level, it is completed when you receive His gift, and come into this Way. This is the comfort and confidence and blessing of the Christmas story. At the personal level, the story is complete when you receive God’s gift of Eternal Life through faith in Jesus Christ. Immanuel is God’s Promise to us. It may have seemed like He had abandoned us, like we were alone, like we were helpless. But no more. He came to be among us, He is with us, and now He is in us. Have you received His Gift? And when you do receive God’s Gift, you enter into the line of those who are a part of God’s Story, and He writes the best stories for His characters. He’s with and in every one of them, working things out for their good. In saving us, He has given us His best. And He is still with us. This way, Christmas for us becomes a celebration of all God is to us and all He gave to us when He came to us. The birth of Jesus was just the beginning. And now every single day becomes a celebration too, not only Christmas. Because we are never on our own, and never alone. God has come to be with us. Thanks for joining this 12-day journey. But what do we know about the girl chosen by God to be the mother of His Son? Based on the age of betrothal in those times, we can say she was a teenager. Some believe she may have been from David’s line, like Joseph. Some believe she may have been a Levite, like her cousin Elisabeth. But not much attention is given to her heritage in the accounts. It shows the common ground, that the criteria for God using a person to bring forth His purposes is not dependent on their heritage or experience. Could God have used just anyone to bring forth his Son in this world? But then, Mary was not just anyone. There’s a lot we can learn from her actions and words. Oh, if we would have such confidence and trust in God’s Word. Usually, the things He wants to birth in us are much bigger than us or our current circumstances. Yet He calls those things out of us, bringing them forth through us. Ours is to believe His Word, His promise, and trust that He will bring it to pass. We should always remember that God’s Word and instructions also embody the enablement to bring it to pass. When God said to the first man, “Be fruitful and multiply,” it was not just an instruction. It was a blessing that brought the fruitfulness and multiplication into action. He told Abraham, “Walk before me and be perfect.” He determines the terms of His Word and its fulfilment. His Word is spirit and life. And as such, when His word goes forth, there is the enablement and power in it. Actually, His Word is the power itself. The Gospel, for example, is the power of God unto salvation. Anyone who hears and believes it is saved. Mary responded in faith to God’s Word. But when she heard it, who could she tell? She was going to give birth to the Son of God? It sounded like a poorly constructed fairy tale, like a young girl’s fantasy. Who could understand this? I am sure she had some questions. She probably felt alone. The angel had said that her older cousin, Elisabeth, was also pregnant. Mary took the trip immediately to meet her. Elisabeth was six months pregnant already when Mary arrived. 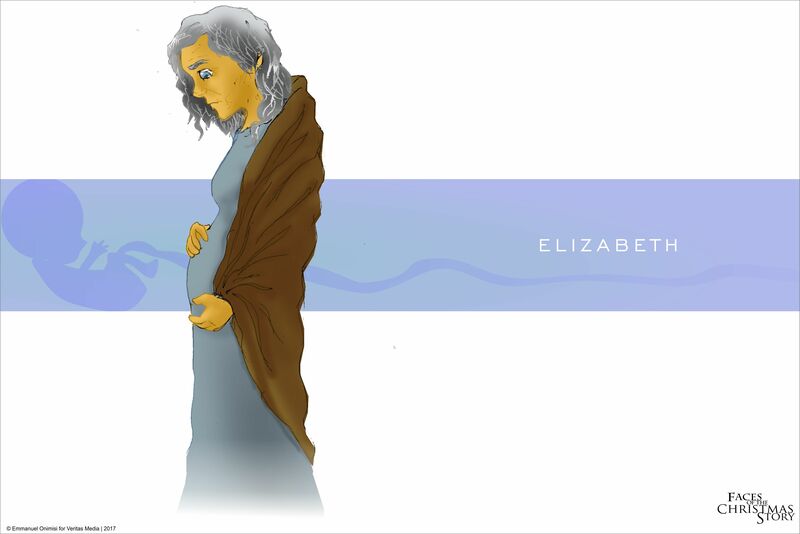 When she did, Elisabeth’s baby leaped in her womb. And she exclaimed in blessing, confirming what the angel had told Mary, calling her the mother of her Lord. Mary was encouraged. Elisabeth’s words sparked a song of praise in Mary. The enormity of what God was doing was impressed greatly on her and she could see how great God is, and how little she was by herself, and the grace in His workings in her. The more we look at what God is doing or has done, the better we will see and know Him, and His love for us expressed in His grace towards us will engulf our hearts and how we view ourselves. She saw herself in God’s eyes. That in the stretch of time and eternity, the Almighty God had chosen her to be His channel to bring forth a blessing to all mankind. 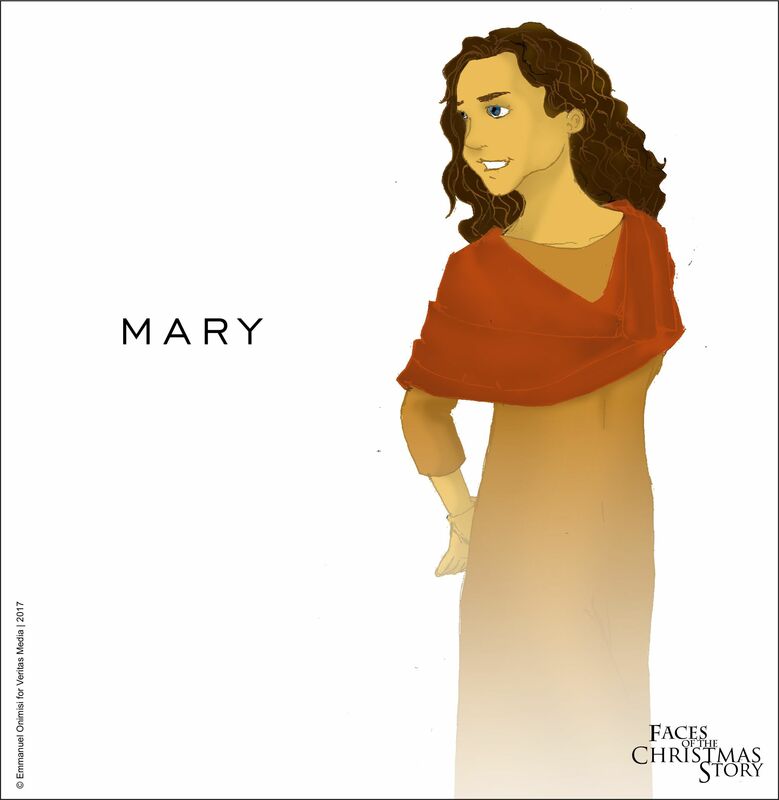 She would still have more children – some of which would be instrumental in Christ’s church— but even to this day, Mary is still noteworthy for the Son that came forth from her. He was the one that defined the rest of her life. In the final analysis, only the things we did that were a part of or in alliance with God’s purposes will count. With God as our priority, everything else falls in line. He defines what else false into place. And we can be sure that, if we major on what counts in God’s eyes, we would live as He made us to. And that’s the best we can ever be. Before I round this up, I’d like to highlight something my sister pointed out to me this morning. Mary’s visit with Elisabeth showed that she esteemed family as important. At Christmas, many of us will return home or receive our relatives at home. Family reunions can be really fun in some places, but also awkward at times. There’s the aunt asking why you aren’t married yet, the uncle who only wants to debate about politics, the sibling who you always end up arguing with, the neighbour who always seems to show up when food is served, the brother-in-law or boyfriend still trying to get the family to like him, the grandma giving her grandkids too much sugar and trying to keep their parents from disciplining them too hard … (these are all just stereotypes I picked off the top of my head). No family is the same, so if you were worried that your family does not look like a Hallmark movie family just know that you are not alone. It is the weirdness factor, or difference, that makes family that much more interesting and special. No matter how weird your family might be, value them. God used them to bring you forth into what and where you are now. Value that at least. There is so much treasure in each and every one of those lives, more than you know. There may be some relatives you might want to avoid because they hurt you in the past, and I understand that. But make sure you pray for them. God’s love through you could mend relationships and make for an even more fruitful reunion. Still, even beyond Christmas, value family. Both the family of birth and the family of choice: friends, church, colleagues, sparring partners on the basketball court. Every relationship is a chance for something good to spark in the hearts of others by association. The spark could be an idea, a thought, a decision, a lesson, or just plain fun. And if you have Christ in you, He can cause a spark that can turn into a glorious fire. I’ll leave that to speak for itself. While others slept in the comfort of their beds, the shepherds were out in the fields at night, taking care of their sheep. The work of a shepherd was serious business in those days. He practically placed his life on the line for each and every one of his sheep. He would lead them to suitable grazing grounds and protect them at all times. If he needed to sleep, he would herd the sheep into a pen and lie on the ground, across the entrance. If any wolf or predator tried to come in to get some mutton, the shepherd would be the first line of defence. He valued the lives of his sheep, possibly because of the income he would get from their wool or from their sale. But the more time he spent with them, the more he got to know each and every one of them, so that if one got missing he would know, he would search for it, and he would rescue it. But the shepherds of Luke 2 were more than one, so the flock was probably much larger than a usual flock. While they could have been shepherds of different flocks in the same area, some believe that this particular flock belonged to the temple, a flock out of which the relevant sheep and lambs would be selected for the necessary sacrifices. Away from the bustling streets of Jerusalem, the hill country of Bethlehem was perfect grazing grounds for these sheep. The account does not ascertain if they were temple sheep or not, as the sheep weren’t the focus of the story. The shepherds were. Because that very night God gave them a front row seat at the 3DHD premiere of His salvation plan: God had been born as a human baby that day. It lasted a while, but soon the angels retreated through their portal to continue the after-party in heaven. The shepherds exchanged glances. Had they all seen the same thing? They had? So it … really was true? And soon the amazement at the angelic visit led to the realization of what they had said: Messiah had been born, in David’s town! Just down there! And they hurried to Bethlehem to find this Baby. When they, they left to announce to anyone in town who listen, the wonderful things they had heard about this child. Ever wondered what happened to their sheep? These guys prized the angel’s news over whatever advantage they could obtain from their flock. Nothing else could have drawn them away. Maybe they locked the pen before leaving. Personally, I think the sheep would’ve been fine either way. 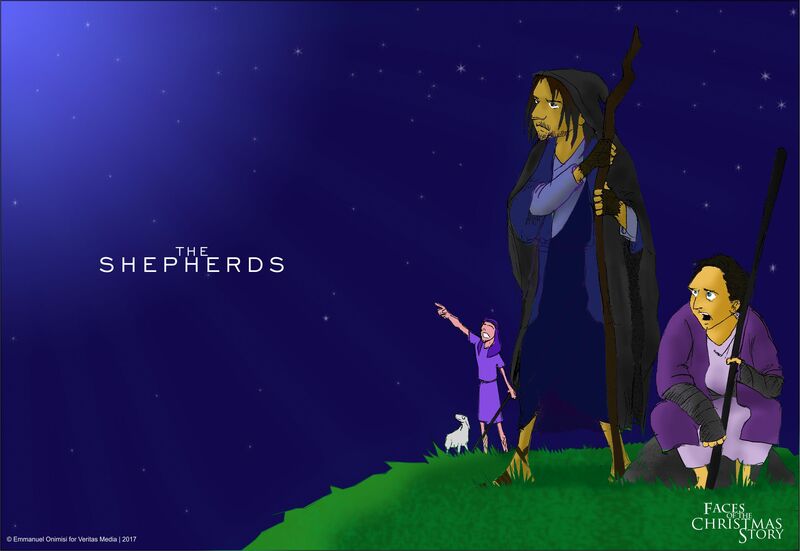 The shepherds remind us that God came for us, even to the lowest of us all. They had no offices of governance or priesthood. They were just the working-class everyman, the man that worked day to day to put food on the table. But God called them to be the first to see the Baby, the One Who would be their salvation. God prized them, valued them, just as He values us all. He wants us to be a part of what He is doing, to receive the gift that He’s offered to us. It is also significant because through Scripture, God had led His people like a shepherd. He had rescued them from their messes and protected them. He promised them that He would give them a shepherd who would feed them and be their shepherd (Ezekiel 34:23). He came to be that shepherd. God had come to lead us to a better place. And the first people He told were shepherds. He came to be one of us, like one of His sheep, so He knows how we feel and why we do the things we do. And that leads to the even more interesting part of this. In the Jewish tradition, a lamb was a very important part of the ceremony for an offering for sin. A lamb without spots or blemishes would be selected and sacrificed as an offering for the sins of the nation. The high priest would sprinkle its blood on the lid of the Ark of the Covenant, a symbol of God’s throne, and the sins of the nation would be covered for that year. There were many other sacrifices for sin that involved lambs. God gave them this tradition as a picture of what He was going to do. And in the fullness of time, Jesus came to be the Perfect Lamb for us all. He alone was without sin, so He gave His life to be that sacrifice for us. When He rose, He ascended to God’s throne where He is now seated, as the One with all authority and as the One who has completed the sacrifice. Just like the blood on the Ark, Jesus is on the Throne. Now the sins of all who believe in Him are forgiven, because He stood (or sits?) in the gap for us. This is the perfect sacrifice. God did that for our sakes, when we couldn’t. Like the Good Shepherd that He is. He did it in Himself and by Himself, because He loves us. Christmas reminds us that God has come to lead us out of the dreary existence we were doomed to, and into a good and fruitful place where He can be with us and we can be with Him. He has come to save us, and He has! Christmas reminds us that He is always with us, guiding us, leading us, feeding us and protecting us. He knows us all by name, our respective stories, our failures and our triumphs. He is here to bring out His best in all of us. We don’t have to wander anymore. We don’t have to live without direction or purpose. We don’t have to be slaves to fear anymore. We do have a Good Shepherd. 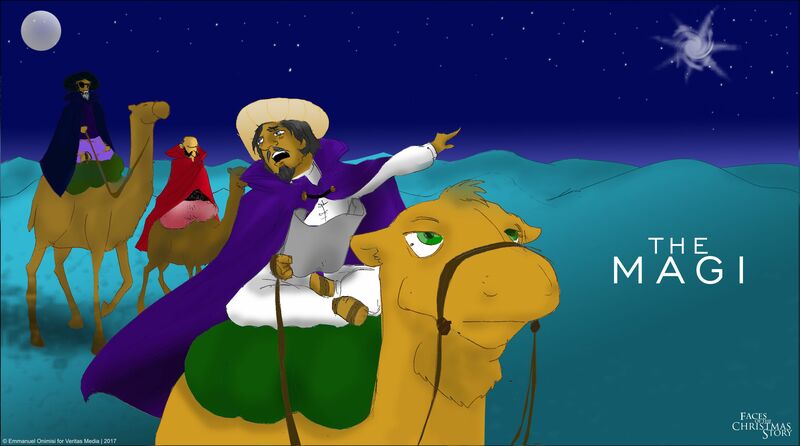 Herod the Great was the designated king of Judea in the days when Jesus was born. Judea was already a client state of Rome and Herod was once a governor of one of its territories, the Galilee territory. When a conflict arose he hurried over to Rome to obtain favour with Caesar and, when Rome responded to quench the uprising and end the status quo hitherto, he was placed as ‘king of the Jews’, sent to rule over the entire country. He is largely remembered for his very ambitious and very expensive building projects such as the building of the cities of Caesarea, provision of water supply to Jerusalem, building of about five fortresses, and most especially the expansion of the Jewish Temple on the Temple Mount, a portion of which still stands today as the Western Wall (or Wailing Wall). He sought to make Judea befitting to the standards of the world of his day. He also enriched and gifted other nations, creating a name for himself. These projects brought much employment to the people of Judea. 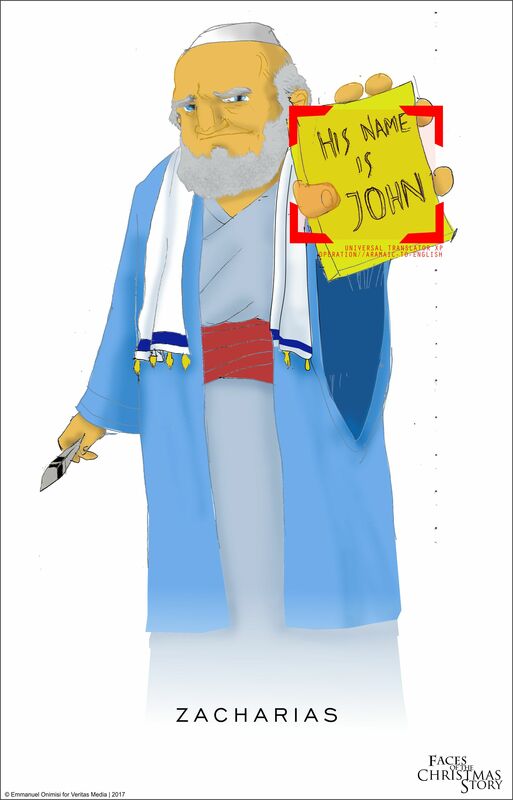 Son of an Idumean (or Edomite) father and a Nabatean (Arab) mother, his family was circumcised and converted to Judaism. But his decadent lifestyle undermined any religious identification he sought to portray. The building of the Temple, and his marriage to a Jewess named Mariamne, was all a lobby for the favour of the Jews. But he didn’t stop there. He still lobbied for favour from the pagan population of his land and from Caesar, constructing a Roman Eagle statue over the very gate of the Jewish Temple (an abomination to the Jews), and also building the cities of Caesarea and Sebaste (formerly Samaria) in Caesar’s honour with many pagan idols and shrines. All his building projects were funded by a very severe taxing system that weighed heavy on the people. 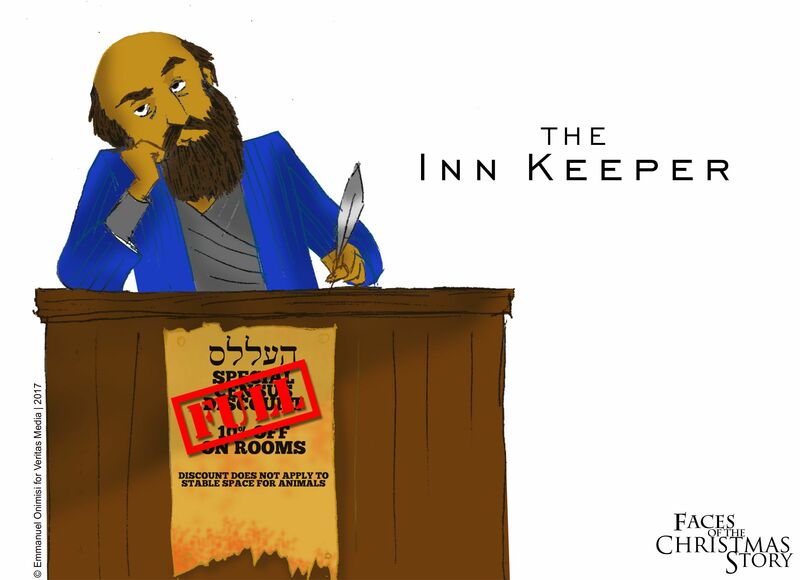 So while he transformed much of Judea, his motives were anything but selfless, and the people weren’t fooled. He knew he was ruling a nation that resented him, so he was very paranoid for much of his reign. He had a secret police to monitor and report the general feelings of the populace, a bodyguard of about 2000 soldiers among other units, and he had his opponents forcefully dealt with. He actually had his Jewish wife and her sons for him executed on charges of unfaithfulness and incitement of revolt. So much for Jewish favour there, Herod. For all his achievements, scholars report that he suffered through depression and paranoia throughout his lifetime. It was in these days that a contingent of Magi, a priestly order of astrologers and royal advisers from the lands of the East, came to visit him. Prepared to host such dignified guests, he was shocked when they declared that they were seeking someone who had been born ‘King of the Jews’, as they had seen his star rising all the way from their lands, and that they had come to ‘worship’ him! “King of the Jews? 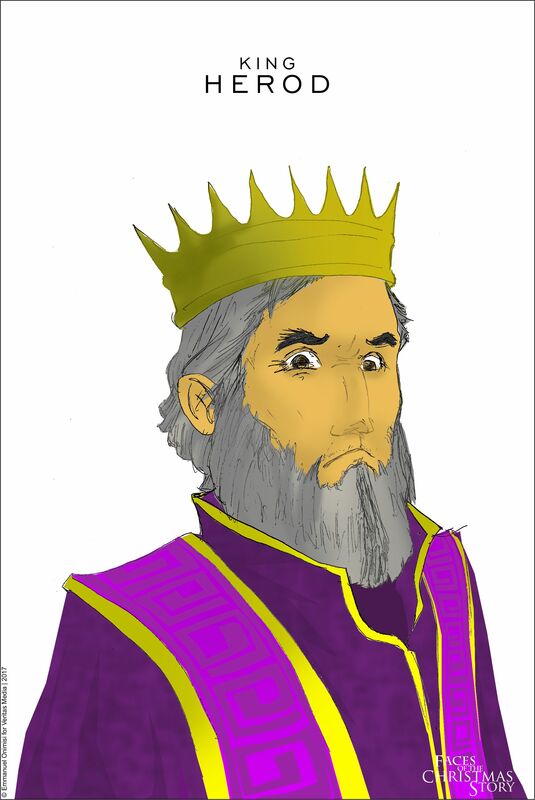 I am king of the Jews!” He sent for them and when they had come, he confirmed their quest. It was clear they were seeking someone, and it was definitely not him. It was all he could do to mask his terror behind a pasty smile. Of course he knew about the expectation in the Jewish conscious of a Messiah that was to come and deliver them from their ‘oppressors’, a term Herod knew many would call him. He mostly dismissed it as the superstitions of a weary people, but the possibility had always stood out in his mind. Could it be true? Or had these men just come based on the rumors of another possible uprising? News of his turmoil spread to the rest of the city, and everyone else was troubled. They knew that, when Herod fears an uprising, there’s going to be blood in the streets. His mind was in overdrive. He knew what he must do, but he had to be discrete. “About two years.” They even gave him the exact date, but much of their astrological jargon was gibberish to him. Could he be late already? He directed them to Bethlehem, telling them to return when they’ve found the child, “…so that I too can come and … worship him.” He felt sick just uttering those words. That night he stared out into the sky. It looked as normal as any other night sky. He had so much, he had accomplished so much, yet he felt so alone in the universe. No matter how much he tried, he much he acted, he never fully felt appreciated. Now someone else had been chosen to be king of the Jews. A child?! It brought a bitter taste to his mouth. He needed to end this. But the massacre never brought Herod the satisfaction he craved. He died not much longer, but his last days were wrought with much turmoil and political intrigue. Quarrels with his eastern neighbours brought him into displeasure with Caesar Augustus, a relationship he had laboured to build for years. His health dwindled into a ferocious temper as his insides withered. He felt so much excruciating pain that he even attempted suicide. He is recorded to have said to his sister and her husband, “I shall die in a little time, so great are my pains; which death ought to be cheerfully borne, and to be welcomed by all men; but what principally troubles me is this, that I shall die without being lamented, and without such mourning as men usually expect at a king’s death.”* He ordered that a multitude of distinguished men be invited and, upon his death, they should be killed so that there would, at least, be some mourning in the land. Thankfully, upon his death, his son cancelled that order. He lived his life seeking the favour of men and died that way. He even tried to kill the One who had come to give him a full and abundant life. He didn’t know. Herod’s story is a picture of many today. We live in a self-conscious culture where everyone wants to be affirmed and appreciated by others. It is a human desire which, in itself, is not bad, but is also sad. On the social media, for example, it is easy to judge our relevance and fulfilment by the number of likes and retweets on our posts and selfies, to feel hurt or that we did something wrong when we don’t get enough or any, to try to please men so that they can favour us. And this has been translated to how we live our lives. If we could, we would even want to know how many people would mourn us if we died! It is why many are suicidal today. And it is not a joke. We all want to be affirmed, because no matter how much we try, there is a void inside that cries for more. And, as the saying goes, hurt people hurt people. Our desire for affirmation tends to lead to selfish disregard for the well-being of others as we crush them in order to obtain some acceptance. We may not all execute those that hate us, but it has become the base evil of humanity. It was the root of the first murder, when Cain killed Abel because he didn’t get the favour he desired. It is the core of every villain, both in fiction and in reality. At their core, everyone, be they heroes or villains, wants fulfilment. How we go about obtaining that fulfilment tells on our very natures. The hero obtains fulfilment in helping others, while the villain obtains fulfilment in hurting others. It is why people cheat, slander, betray … assuming that putting others down automatically lifts us up. But all it does is send us all sinking into miry clay (or quicksand). It ruins relationships and marriages too, when each person is seeking their own gain, focused on receiving from the other instead of giving, and judging them based on personal needs. The void in man is a form of death, and it is a consequence of the sinful nature. There is nothing we can do to fill it, and it always cries out for more. Only Jesus can fill it, and that is what He came to do. God came that we may be whole, complete in Him, fulfilled and full-filled. He came so that we can have Life and live it to the full (John 10:10). He fills our hearts with His love (Romans 5:5) and lets us know that we are complete in Him (Colossians 2:10), lacking nothing. In Him, we see our true selves: beautiful, loved, accepted, affirmed. We are His own, and He is ours. The more we grow in Him the less we will base our fulfilment on the approval of others. Rather we will realise more and more, and it will be more real in our mindsets, how He fills and surrounds us with His everlasting and boundless love. We have never really been alone, and we never will be. Herod did not realise that he had a front row seat on God’s plan to answer the cry of his heart. Don’t miss out on the opportunity God has presented before you too. Call to Him. He is closer than near, and He hears. He wants you to know Him much more than you think. He’s got so much for you. And, from this place of affirmation in Him, we can more effectively be a blessing to others. This is the kind of life that can give to others without expecting appreciation or reward, and would not be hurt if it doesn’t come. It is the kind of heart that can be slapped (or cheated), and will turn the other cheek. It is the confidence that will put out its best foot forward in love, knowing that it might be stepped on but not minding. It is the life that can break through cold hearts, and warm and comfort them with love. It is the life Jesus spoke about. It is bizarre and crazy, like walking on water. But it is also supernatural and amazing, just like walking on water. He showed us what it’s like, dying for us when we were still ungodly, sinners, in enmity with God and without a promise or care of responding to His love. He rose to make the way that we may be united with God in Him, by believing in Him. The way is still open today. You are loved, and can love. Imagine you are sitting on a park bench, scrolling through your phone while waiting for the 3 o’clock bus. On a hunch, you look up from your screen to see a stranger sitting beside you, smiling. The stranger proceeds as if you two had been in the middle of a conversation. “What if I told you that by this time tomorrow, you will be able to fly?” He stares straight into your eyes unblinking. He actually believes what he’s just said, and he expects you to believe it too. You, fly? I would probably reply, “Sorry, but I don’t do drugs,” before I make up an excuse to leave. I would always look back on that moment as a weird one, but I would wonder about the possibilities, somewhere in my subconscious. I would remember the times when, as a kid, I tied a wrapper around my neck like Superman and leapt up, up and away … unto the floor. Living with a little concept called Reality, and it’s distant cousin ‘Gravity’, has taught me that I can’t fly, so I don’t even try or even entertain the possibility. And with that, I shove the memory of the stranger’s pitch into the ‘Don’t-even-think-about-it’ cabinet of my mind. That’s probably what Zacharias felt like when he, while performing his priestly duties in the temple, was told by the angel Gabriel that he would have a son. He and his wife were ‘far advanced in years’ (read, they were really, really old) but they had no children, and it was definitely not for lack of trying. They had prayed and trusted in God for at least a child, but none had come. Yet they remained faithful to Him. Zach had probably even resigned to serve God wholeheartedly, even if God didn’t give him a child. And that’s quite commendable too. But now, an angel appears and tells him he would have a child? A son, no less? Of course he was amazed that an angel had appeared to him, and this was clearly from God … but what was this? Could he dare get his hopes up again after watching them get dashed for decades? Could he dare try to even wrap his mind around all the angel said about this ‘son’? Was this a practical joke from on high? Did God even do practical jokes? His doubts stood abreast to the angel’s words, and all Zach could say was, “What proof can you give me, so I can be sure? I’m really really old, and my wife is an old woman too.” And, if you know the story, Gabriel said that because he doubted, he wouldn’t be able to speak until those words were fulfilled. And, just like that, Zacharias couldn’t speak. So why treat an old man so? In the days and weeks that followed, Zacharias might have had a conflicted mind; the guilt of doubting God’s words battling with the question of why God would do this. And just in case he wondered if it was all in his head, his tied tongue was proof enough that it was still so real. And Elizabeth’s cheeky remarks about the cat finally getting his tongue didn’t help matters. But what was this about her feeling dizzy these days? And was she gaining weight or, was her belly getting bigger, or…? And then it dawned on him that it was real. They really were having a baby! How did this happen? Of course he knew how it happened, he just didn’t expect it to result in a baby. In their old age? Impossible! But then, God had said they would, hadn’t He? In the months leading to delivery, Zach’s understanding of God’s ability was proven to him. The evidence before him was too much to deny. The angel’s words played in his mind over and over. And he knew that it would be true. Not only were they having a son, but this boy would be a major part in God’s plan to prepare His people for Messiah? Despite his doubts? Doubt is a part of our human experience. It is a consequence of our fallen nature. Since we are used to the mundane reality around us, accepting God’s promises that seem to be above the normal is not easy, and doubt sets in. That’s human. But to relate with God, we must have faith; faith in Him and His ability. And God wants to be a part of our lives much more than we want Him to, but our doubts prevent us from allowing Him. So what does God do? He doesn’t need to take our speech. He has a better solution: he gives us new hearts that can grasp and believe His words, and then we can say the right things. He did this through the sacrifice of his Son, Jesus, creating new hearts in all that believe in Him. Zacharias was living in a time before this Redemption plan had reached fruition, but God still wanted to use him. So, however long it took, some faith was built in him. And, ironically, when he could speak, it was this Redemption Plan he spoke about (see Luke 1:69-75). Now, faith is a gift to anyone that trusts in Jesus. It is through this faith that we are saved, all an act of the grace of God (Ephesians 2:8). And with faith, He can do so much in and through us. Our part is to keep or minds focused on God’s ability, even when facing insurmountable odds. In reading His word and following Him, we grow stronger in faith. We would trust in His words better, we would speak as He pleases, and He will do great and mighty things in and through us. We may still encounter doubts at different points in life. The giants and mountains we will face may be bigger than the ones we’ve encountered before. But the more we follow Jesus, the stronger we are in faith, and the better we can overcome doubts when they come up. So when the giants come, we send them to the ground, and when we meet the mountains, we send them for a swim. Zacharias, and Elizabeth’s story by extension, may seem like filler episodes in a season-long Christmas TV show, not furthering the plot or telling us about the main characters. But they are anything but fillers because they show us the human faces of the time. Zacharias shows us that, true enough, while we were unable to meet up to God’s standards, despite our doubts and lack of faith, despite the lethargy that had set in with reality and it’s unfulfilled promises … God was coming to our neighbourhood and bringing us to His. He didn’t wait for us to measure up to His standards before calling us. Now all we have to do is to respond to his call, by believing in Him. He’ll handle the rest, because He can. Elizabeth’s story … well, she’ll take the spotlight tomorrow. See you then.